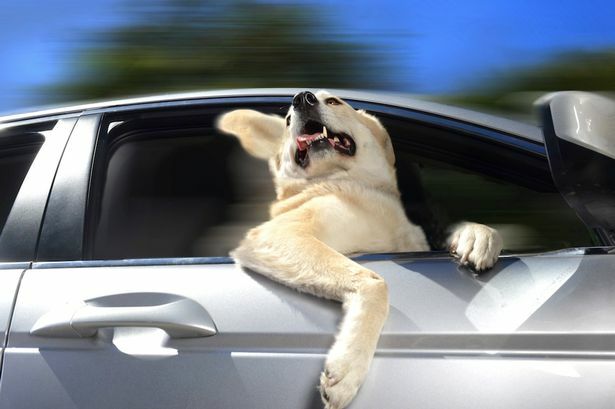 British motorists are risking their insurance premium and the prospect of a hefty fine by allowing their pets to travel unrestrained. research by Confused.com, reveals a third (34%) of pet-owning motorists aren’t buckling up their four-legged travel companions when driving in the car. However, drivers might think twice about letting their pets loose if they were aware it could land them a hefty fine. Almost two thirds (64%) of UK drivers do not realise they could be punished with up to an £1,000 fine for driving without proper control of the car and, in some cases, up to £2,500 for driving without due care and attention(1). But the penalties don’t stop there. Drivers convicted of these offences may also receive up to nine points on their licence and could potentially be disqualified from driving. And it could hit drivers where they least expect it when it comes to making a claim, as car insurance providers have the right to invalidate polices if drivers are distracted or not in control of the car in the event of an accident. Worryingly, more than half (52%) of pet-owning motorists are unaware of this. The punishments for driving with an unrestrained pet are severe due to the potential danger it can impose on the driver and other road users. In fact, one in 10 (10%) motorists have been in an accident while a pet was in the car, or know someone who has. It’s surprising these figures aren’t higher, almost a tenth (8%) of drivers have had to try and prevent an accident while they were travelling with their pet in the car. These actions include swerving, emergency braking or physically holding their pet down. But it isn’t just drivers, passengers and other road users at risk when a loose pet roams about the car. In fact, not buckling up your dog, cat or other pet puts the animal itself in harm’s way. And with dogs proving to be the most popular driving companion (65%). Some drivers have landed themselves in a tricky situation due to leaving their pets roaming around their cars. One driver told us they lost their excitable dog out of the car window when stopped stationary at traffic lights after seeing children playing outside. Another found themselves on the receiving end of a fine after letting their pooch climb on to the front seat. And cats are equally as mischievous, with one driver reporting that their feline friend settled in the footwell beside the pedals after escaping from its box. Worryingly, a number of drivers admit letting their pets loose in the car. In fact, more than one in 10 (11%) let their pet sit up front, or on the back seat without a restraint (9%). But some are being sensible, with more than a third (37%) putting them in a cage or carrier before setting off, while one in six (17%) use a specialist pet seatbelt or restraint. Clearly more needs to be done to educate pet owners about how to travel safely with their furry friends given two in five (39%) drivers take their pet in the car with them at least once a week. More than a third (36%) say they most frequently travel in the car with their pet in the car to the vets, while almost a third (32%) drive their pet to go to a walk. Most pet owners tend to stay fairly local when driving with their pet, as the average regular journey they take is just nine miles. Although nearly three in 10 (29%) drivers say they have taken their pet on journeys over 100 miles long. Amanda Stretton, motoring editor at Confused.com, says: “Drivers must restrain their dogs properly, or they could receive fines up to £2,500.